When the summer comes, ambient temperature goes up. 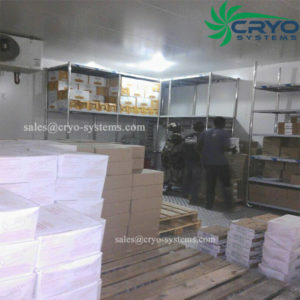 It’s the busy season for the cold room. We should do something to improve the efficiency of the refrigeration equipment, etc. 1# Go around and check the panels, doors, condenser and evaporator, etc. Check everything to see whether it’s leakage, aging of wires, etc. 2# Pallets should be located with marks, ensure good ventilation. With a good operation and maintenance, we could save lots of electric consumption and extend its equipment service life.